I was recently asked to explain the digital health marketplace in the UK and how providers are supposed to access the market. This marketplace includes, for example, telehealth, telemedicine, eHealth and mHealth products, as well as telecare. A marketplace is formed where there is demand for a product or service, and when this demand is supplied. Of course then, markets grow and evolve over a period of time. 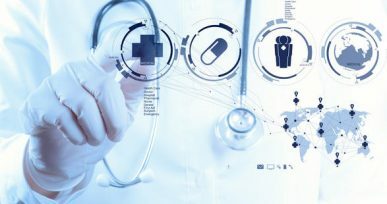 Within the digital health space, on the supply side there is a vast range of products and services, but the demand side is unclear. The need is there, but organisations responsible for planning and commissioning services are often unsure of how best to engage with some of the technologies available and to procure these. What works? Where do we start? Is it cost effective? How can we assess service impact? So we could reasonably conclude that the marketplace for digital health is not well defined and has not yet matured. This is discouraging for providers, especially SMEs, and there is confusion about the best approach for accessing the market. This could even cause a provider, particularly a smaller one, to ‘give up’. This would be a shame if they had an excellent product which they were struggling to sell. It is important for those on the demand side to be clear about what it is that they want to procure or commission, and that they are ready for adopting the technologies and services. Organisational readiness is often an area overlooked; yet this is such an important issue to address to ensure the marketplace matures and thrives. While there are some pockets of excellent working in getting products to segments of the market e.g. acceleration programmes, processes are not the same across different geographical areas and sectors. These issues are not limited to the UK. From conversations I am having with people overseas, the situation is pretty much the same internationally. The imbalance between the supply and demand sides of the market cannot continue. 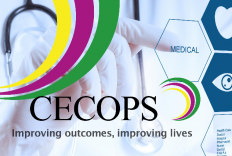 To help shape the marketplace, CECOPS has developed the first ever International Code of Practice for Planning, Commissioning and Providing Technology Enabled Care Services. 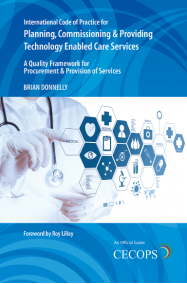 This is an outcomes-focused quality framework for procurement and provision of services. It offers an end-to-end solution which addresses all aspects of the marketplace. This new framework for the first time provides structure to the marketplace and is set to become the recognised benchmark. Working with the Code will help to create and shape a more balanced marketplace. Following it will also help to ensure an organisation’s readiness before engaging with digital health. The Code can also act as a framework to support providers coming into the space, so that they have a clearer understanding of what might be required of them. Using the Code within tender specifications simplifies the procurement process. As the Code is outcomes-focused, it encourages providers to be innovative. It will also help to achieve sustainable economic growth in the space; as growth for some providers is currently minimal and short-lived. As the standards and certification body for these services, CECOPS is also able to accredit services via an external assessment. Copies of the International Code are available from here. The Code is free to organisations registered with CECOPS. To find out more about CECOPS accreditation scheme or the Code, please get in touch. The first ever Code of Practice and support tools covering all aspects of planning, commissioning and providing technology enabled care services (e.g. 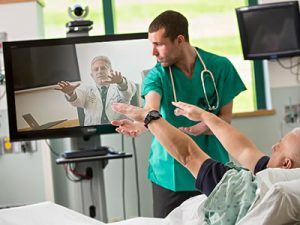 telehealth, telecare, eHealth, digital health) have been developed by CECOPS, the independent standards body in the UK for assistive technology services. Uniquely, this new Code, which sets out standards covering every aspect of services, offers an end-to-end and whole-system approach, ranging from the early planning stages through to post-implementation of services. It can be looked at as a value-chain solution that interlinks those responsible for planning and commissioning services with service users, through the activities of clinicians and providers. The Code is complemented by a unique and powerful self-evaluation and continuous improvement tool iCOPS®, which helps organisations to self-evaluate services, assess readiness before engaging with TECS and drive their own quality and performance agenda. It is anticipated the Code and support tools will encourage wider adoption of TECS and set the benchmark and framework for all organisations in the sector to work to. These latest developments offer a quality framework for the procurement and provision of services, with the ability to assess, influence and improve outcomes, as well as streamlining the whole contract management process. 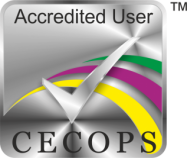 The introduction of this Code means that CECOPS can now extend its accreditation scheme across all assistive technology related services (e.g. telecare, telehealth, wheelchairs, electronic assistive technology, disability equipment), nationally (UK) and internationally. The new Code is currently available to organisations working with the CECOPS scheme. A published hard copy and eBook version of the Code will be available to purchase in the coming weeks. The iCOPS® tool is available for purchase now. A FREE 30 day trial is available. If you are interested in purchasing a copy of the Code, becoming CECOPS accredited or trying out the iCOPS® tool, please get in touch. CECOPS CIC is a UK-based independent, not-for-profit, standards body for assistive technology services. CECOPS is widely supported by regulators and professional organisations. CECOPS is often cited as a requirement in tender specifications, and, although relatively new, is already working with approximately 80 organisations in the UK, with growing international interest. Will Personal Health Budgets for wheelchairs fix the problems? NHS England recently announced that to give people more choice and control about the care they receive, personal health budgets will be extended to cover wheelchairs from April 2017. This move is intended to support the government’s target of enabling 100,000 people to benefit from greater control via personal health budgets by 2020/21. It is proposed that Personal Health Budgets (PHBs) will replace the current wheelchair voucher scheme as part of efforts to improve services for over 1.2 million people that currently use wheelchairs. NHS England claims the new personal health budget scheme will offer more choice over what wheelchair can be acquired, and will include a detailed care plan to help users make informed decisions about their wheelchair. They claim care plans will not only cover purchasing the chair, but will also include guidance on future maintenance, repair and replacement needs. Without a business case or impact assessment or relevant evidence, it is difficult to assess at this stage exactly how the model will work in practice. NHS England has been reviewing wheelchair provision over the past 2.5 years, and introducing PHBs would appear to be in response to the findings of that review; however we sincerely hope that issuing PHBs for wheelchair users is not the only outcome of that review, as PHBs cannot possibly be a solution to the numerous problems associated with these services. As the independent standards body in the UK for wheelchair services, CECOPS welcomes the move to extend personal health budgets to these services, and we have in fact already included the use of PHBs in our Code of Practice. The use of PHBs for wheelchairs will be an area which our assessment processes will cover, for organisations seeking accreditation with us. Notwithstanding our support of measures to improve wheelchair services and user experience, we do have some concerns which we hope will be addressed before the introduction of PHBs for wheelchairs in April 2017. We feel that if the areas of concern below are not sufficiently addressed, the roll-out of PHBs for wheelchairs will not achieve its well-intended aims. At this point it is unclear how PHBs will work better than the existing voucher scheme, and this is something we would like to hear more about from NHS England Personal Health Budget team. Could PHBs exacerbate current difficulties associated with disjointed services? Disabled people often require a range of assistive technology (AT) related services e.g. communication aids, posture equipment, adaptations. As the different AT services generally operate independently of each other, people usually undergo several different assessments to cover their various and holistic equipment needs. The current model is costly and is far from being person-centred. Offering a PHB exclusively for one type of assistive technology (i.e. wheelchair) could potentially exacerbate the problem, and would appear to go against the direction of offering more holistic, personalised and person-centred care. Will PHBs address long waiting times? 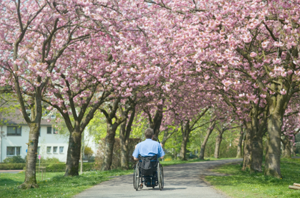 One of the main problems associated with many wheelchair services is the waiting times. It is not uncommon for people to wait 18 months for a wheelchair. PHBs won’t address waiting times, as they are not set up for that purpose. In fact, PHBs could even increase waiting times, for reasons explained below. The main reason currently for long waiting times is lack of funds. PHBs won’t introduce any new money, and purchasing a wheelchair at retail price under a PHB rather than at bulk contract price will be more expensive. In addition, wheelchairs bought under a PHB belong to the user and will never come back into the wheelchair service to be reissued to another user. This could add significant pressure to current overstretched budgets and increase waiting times for all wheelchairs, whether under a PHB or not. Will PHBs help people who need equipment urgently? People with rapidly progressive conditions, such as motor neurone disease or some types of multiple sclerosis, require access to equipment urgently. Sadly, fast-tracking of services for these people is not generally in place. Providing people with PHBs is not likely to address this serious problem. Presumably there will be a waiting list for accessing PHBs just as there is for loaned equipment, as without new money there will still be funding issues. We feel strongly that this area should be looked at as a priority; it is disgraceful that some people die whilst waiting to receive vital equipment. One solution could be that the PHB scheme includes a fast-tracking arrangement so that eligible people have access to funds immediately to buy everything they need quickly. Obviously there would need to be clinical professionals involved to facilitate and advise. Could PHBs for wheelchairs actually be more costly? As previously mentioned most wheelchairs are purchased by the NHS or out-sourced provider under a bulk contract or framework, in some cases at significantly discounted prices. With PHBs, people will purchase equipment outside of these agreements from retailers at high street prices, which are very likely to be much higher than the prices currently paid by the NHS for wheelchairs. PHBs will have to be of sufficient value to cover the retail price of a wheelchair, otherwise people will not take them up! As this cost is likely to be higher than is currently paid by the wheelchair service, this could strain wheelchair budgets. In addition, there are significant savings and cost avoidances under the current model where wheelchairs are reissued by wheelchair services. For example, a wheelchair costing £2000 issued 3 times over its life results in a cost avoidance of £4000; whereas 3 of the same wheelchairs purchased using PHBs will cost £6000. Equipment purchased using a PHB will not be recycled within the wheelchair service, and is in effect a sunk cost. If PHBs for wheelchairs are widely taken up it could have a drastic effect on wheelchair service budgets. Could wheelchair users be exploited? There will need to be proper support and safeguards in place to ensure people using their PHBs to buy wheelchairs are not exploited by retailers i.e. being sold something they don’t actually need, or charged an excessive amount. It is recognised that people are consumers in other aspects of their lives, and should be able to make their own choices; however some buyers will be in a vulnerable position, making a large purchase in an unfamiliar market, which could leave them open to exploitation without appropriate guidance, safeguards or support. When the Department of Health introduced the retail model several years ago for aids to daily living, there were cases reported of people being exploited by retailers, so this is a real concern. Could using a PHB compromise clinical needs being met? A PHB for a wheelchair will only be for a limited amount, although it is currently unclear how this will be set. Wheelchair users will be able to top up from personal funds if they want a higher specification wheelchair. There is a risk that wheelchair users acquire an item which does not meet their clinically assessed needs. This is a high risk area and it is vital that users get the right wheelchair to avoid problems associated with postural care and pressure, for example. It is difficult to see how it can be ensured that retailers are competent to advise on these matters, some of which require specialist clinical input. Failure to address the above issue could mean people end up with equipment that doesn’t meet their clinical needs, resulting in further health problems such as a pressure ulcer. As yet no guidance has been made available from NHS England Personal Health Budgets team on training for frontline staff with regards to PHBs for wheelchairs e.g. what training is needed, who needs to be trained, who would carry out the training and who pays for it. It could be a costly and timely exercise for local areas to formulate their own guidance on this, and deliver their own training, which could potentially be a barrier for wider adoption. CECOPS hopes the above issues will be sufficiently addressed before commencement of this initiative in April 2017; we would be willing to work with the NHS Personal Health Budget team to work through possible solutions. 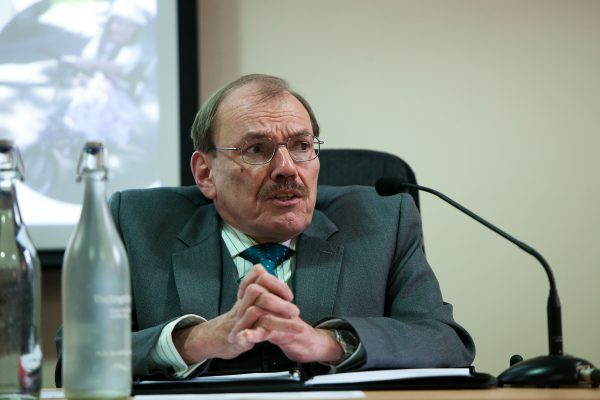 Many of the areas of concern can be addressed by following our Code of Practice and working with our accreditation framework, which is now formally approved by Care Quality Commission and being adopted by many wheelchair services across the country. We are delighted to announce that our application to become an official information source approved by CQC has been accepted. CQC recognises the potential value of clinical service accreditation and peer-review schemes as information sources to support its inspections. Such schemes have the potential to provide useful intelligence and provide independent assurance that accredited services meet standards. The Healthcare Quality Improvement Partnership (HQIP) has developed, in association with the cross‐college clinical services accreditation stakeholder’s advisory group, a set of criteria to help CQC determine schemes that can provide robust and reliable information for consideration ahead of and during inspections. We are delighted to announce that we are now offering a CECOPS Approved Software marque as part of our scheme. This means IT companies providing management systems in the assistive technology space (e.g. disability equipment and wheelchair services, telecare, AAC) can now apply for their products to gain this prestigious status. To gain CECOPS Approved Software status, software systems will have to clearly demonstrate that they meet certain criteria. These criteria are based on how software systems can help to meet the outcomes set out in CECOPS’ Code of Practice. “Now more than ever, we all need to identify and improve our service performance and use as many ways as possible to reduce costs as well as enhance service delivery and the customer experience. Good standards ensure that these aims and objectives can be met and are not always mutually exclusive. It is possible to manage and maintain a high degree of consistent activity, firstly by setting these standards, then by measuring and meeting them, finally by exceeding them and then re-defining them to improve still further. CECOPS now maps and sets out national standards we all should aspire to and build on. The CECOPS framework allows everyone involved in the delivery of a service to record and identify their strengths, highlight weaknesses and plan for constant and continuous improvement. Soft Options are proud to support, adopt, and promote these standards and welcome all the benefits realised because of them.